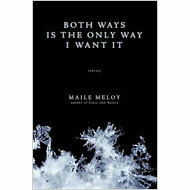 In an exceptionally strong year for short fiction, Meloy’s concise yet fine-grained narratives, whether set in Montana, an East Coast boarding school or a 1970s nuclear power plant, shout out with quiet restraint and calm precision. Her flawed characters — ranch hands in love, fathers and daughters — rarely act in their own best interests and often betray those closest to them. 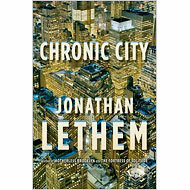 Lethem’s eighth novel unfolds in an alternative-reality Manhattan. The crowded canvas includes a wantonly destructive escaped tiger (or is it a subway excavator?) prowling the streets, a cruel gray fog engulfing Wall Street, a “war free” edition of The New York Times, a character stranded on the dying International Space Station, strange and valuable vaselike objects called chaldrons, colossal cheeseburgers and some extremely potent marijuana. 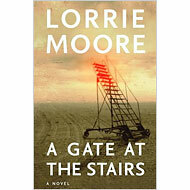 Moore’s captivating novel, her first in more than a decade, is set in 2001 and narrated by a Wisconsin college student who hungers for worldly experience and finds it when she takes a job baby-sitting for a bohemian couple who are trying to adopt a mixed-race child. Meanwhile, she drifts into a love affair with an enigmatic classmate and feels the pressing claims of her own family, above all her affectless younger brother, who enlists in the military after 9/11. 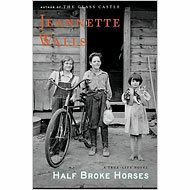 In her luminous memoir, “The Glass Castle,” Walls told of being raised by eccentric and unfit parents. Now, in a novel based on family lore, she has adopted the voice of her maternal grandmother, Lily Casey Smith — mustang breaker, schoolteacher, ranch wife, bootlegger, poker player, racehorse rider and bush pilot. The result ­re­animates a chapter of America’s frontier past. 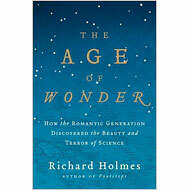 Holmes harnesses the twin energies of scientific curiosity and poetic invention in this superb intellectual history, which recreates a glorious period, some 200 years ago, when figures like William Herschel, Humphry Davy and Joseph Banks brought “a new imaginative intensity and excitement to scientific work,” and literary giants like Coleridge and Keats responded giddily to these breakthroughs, finding in them an empirical basis for their own faith in human betterment. Sarah Crichton Books/Farrar, Straus & Giroux, $26. 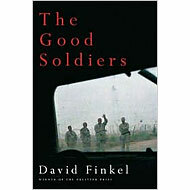 Finkel, a Pulitzer Prize-­winning writer and editor at The Washington Post, gives full voice to his subjects, infantry soldiers from Fort Riley, Kan. (average age 19), posted in the lethal reaches of Baghdad at the height of the “surge.” Finkel’s own perspective emerges through spare descriptions — of a roadside bombing or the tortured memories of a single soldier — that capture the harrowing realities of war. Review | Author Q. & A. 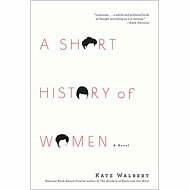 This sequel to “The Liars’ Club” and “Cherry” is also a master class on the art of the memoir. 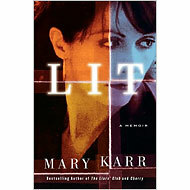 Mordantly funny, free of both self-pity and sentimentality, Karr describes her attempts to untether herself from her troubled family in rural Texas, her development as a poet and writer, and her struggles to navigate marriage and young motherhood even as she descends into alcoholism. 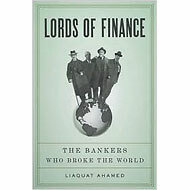 The parallels with our own moment are impossible to miss in Ahamed’s narrative about four members of “the most exclusive club in the world,” central bankers who dominated global finance in the post-World War I era. Ahamed, a longtime investment manager, evokes in glittering detail a volatile time of financial bubbles followed by busts, all of it guided by players wedded to economic orthodoxy. Ten years in the making, this prodigiously researched and meticulous biography sympathetically and adroitly integrates its subject’s work with the turbulent life ­— marred by alcoholism, financial turmoil and family discord — that brought it into ­being. 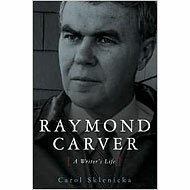 ­Sklenicka shrewdly deconstructs Carver’s fraught relationship with Gordon Lish, the editor who played an outsize role in the creation of Carver’s stories, the most influential of a generation. 何镇飚的私人博客 He Zhenbiao's Blog is powered by	WordPress 4.7.13 and delivered to you in 0.543 seconds using 52 queries.